Malaysia will remove the GST from June 1 and reintroduce the SST. 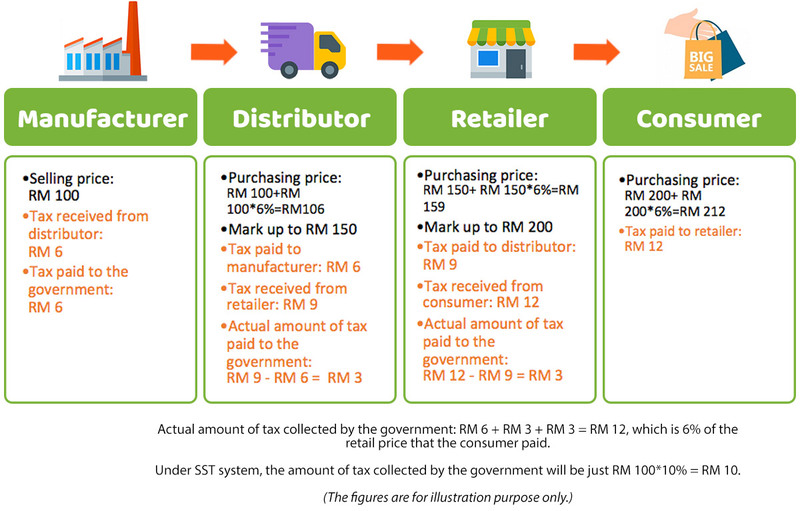 What is SST and how does it differ from GST? 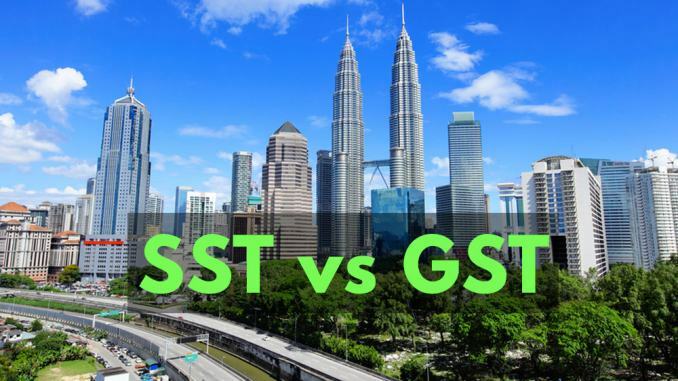 SST stands for Sales and Services Tax while GST is the abbreviation for Goods and Services Tax. As their names suggest, both are consumption taxes. GST applies on a wide range of goods and service, including imported goods. GST is also multi-layered – meaning a 6% tax is levied at every stage of the supply chain – from manufacturers to distributors to retailers to consumers. SST, on the other hand, has a narrower scope. It is levied only at one stage of the supply chain – meaning a 10% tax is levied when manufacturers transact with distributors (assuming SST rate remains unchanged). At present, businesses experiencing delayed tax refunds are likely to pass on the costs to consumers, on top of the 6% GST. The higher the mark-ups – throughout the supply chain – the more consumers end up paying. In such cases, certain goods are pricier under the GST system. With GST scraped come June 1, consumers will enjoy zero tax purchasing until SST comes into force by the end of the year. With SST, businesses would not be eligible for tax refunds. However, as businesses absorb SST into their cost, they may mark up higher to cover it back. Good news to consumers is that there would be regulations to prevent mark ups along the supply chain. Certain goods and services (such as Touch n’ Go reloads or and interbank ATM withdrawals) may be cheaper, as they are no longer subjected to tax. In the video, YYC Advisor’s Tax Director Elaine Wong illustrated that GST is levied on restaurants with an annual revenue of over RM 500K. Under SST, however, tax is levied only if their revenue crosses RM 3 million. Wong noted with SST, Malaysia is estimated to receive some RM 20 billion of tax revenue, half of the RM 40 billion it would have collected with the GST. Are Singaporeans Working Too Hard?